During Kaileigh Poe's off-campus study in England, she is interning at the Parliament and making unlikely friends. Erin Worden '17 has been recognized by the the College of Global Studies at Arcadia University with the 2016 Global Scholar Award. The Great Lakes Colleges Association (GLCA) has awarded Denison University a Global Crossroads Initiative/Mellon Foundation Grand Challenge grant. As part of her study abroad program, Emma Stancey '18 interviewed a German artist - the interview went so well it was aired on Berlin's NPR station. Three Denison University students studied science in Germany this past summer. As we become an increasingly globalized university, Off-Campus Studies promotes opportunities for life-changing international experiences. Denison's Economics department will host Dr. Armah during the fall semester, 2016. Three students are pursuing international experiences with funding from the Horizon Fund this summer. OCS welcomes two Denison alum to our staff this year: Mary Aurora Grandinetti '10 and Olivia Geho '16. Begin your off-campus study journey with Study Abroad 101! The Off-Campus Study office launched a new student-led information session this semester for rising sophomores interested in studying off-campus. Mackenzie Ritter ’17 is Daydreaming in the Sahara! Mackenzie is blogging her way through her study abroad, currently she's in Morocco! Denison students and faculty will attend a Columbus World Affairs Council meeting on Global Mental Health. Can you study abroad and maintain your sport? The answer is yes! A new report finds that a student is more likely to die on an American campus than overseas. This fall sophomores and juniors will be able to take a DenSem on Wicked Problems or CyberEthics. Program director for HECUA Northern Ireland came to Denison to talk about "Finding Beauty in Monsters". Biologist Julio Lemos-Espinal, International Scholar in Residence at Denison, meets with students in several academic disciplines. Denison Economics major, James McCahan, studies the local perspective regarding European economic policy while spending a semester in Italy. Spring Denison Seminars are Here! 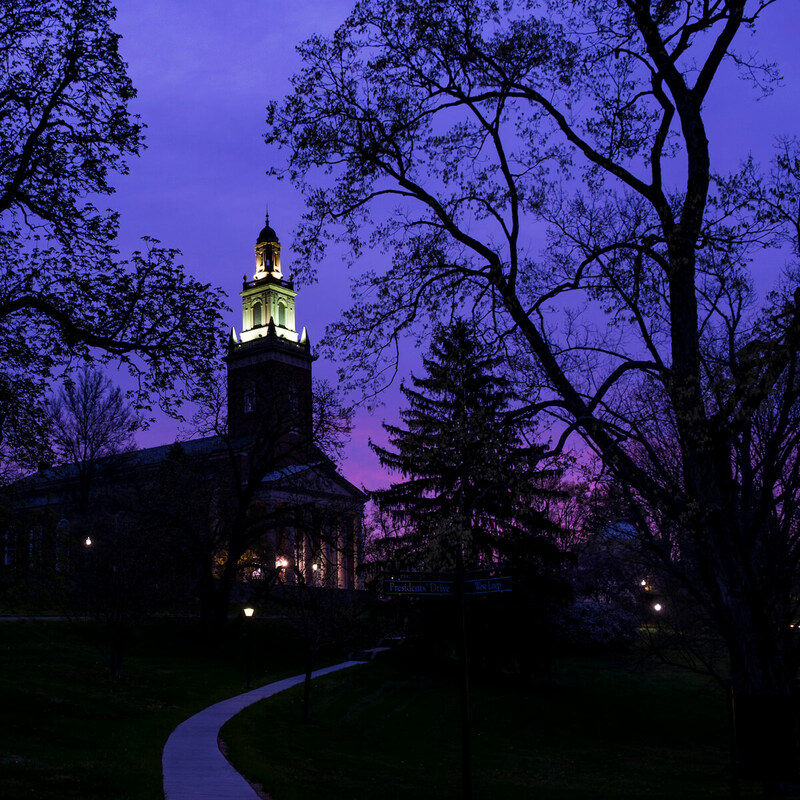 This spring, nine faculty are offering five Denison Seminars on a variety of topics. Last week the Office of Off-Campus Study held the first Global Education Week since 2008. The week was a huge success! On September 7, Off-Campus Study and President Weinberg invited the students who studied off-campus to enjoy wine, cheese and crackers. Professor Chris Michael talks about living, teaching and playing music in the Middle East. Director of Off-Campus Studies Sue Davis offers some tips for students. Hannah Cain '16 shares her experiences interning with Council on International Educational Exchange. Erica Schulz '17 sailed the ocean blue to complete some of the first comprehensive oceanographic surveys of the Phoenix Islands. The student workers at Off-Campus Studies serve as significant members of the department. Steve Crawford, Director of Alumni Relations, is headed to Germany on a Fulbright Fellowship this Fall.